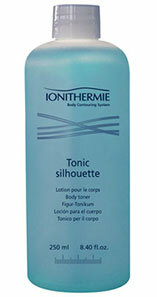 Ionithermie products deliver cellulite reduction and simultaneously detox congested parts of the body. 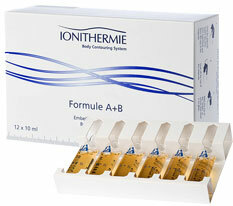 Manufacturers created Ionithermie kits for customers’ convenience which can be used at home. These products are not just anti-cellulite creams but highly effective natural gels, serums and slimming ampoules. That's why US plastic surgeons call them lipo in a bottle. They provide fast and effective results after the very first Ionithermie treatment. Using Ionithermie homecare products gives you an amazing experience with high value and premium grade medically tested ingredients with proven effectiveness. Prepares the skin, stimulates blood circulation, balances pH level, great for water retention and helps in penetration of all active ingredients deep into the skin layers. Anti-cellulite cream that firms and tones the skin. It’s excellent ointment for stretch marks and cellulite reduction. Strengthens cell walls and repairs connective tissue cells. Metasysteme paraben free formula induces the detoxifying effect of red algae in A+ B ampoules and helps slimming with it's active ingredients. Focus Vesiculosus (Bladdewrack Algae) - Boosts metabolism through balancing iodine levels for a healthy thyroid function. Adenosine triphosphate ATP – ATP is critical for healthy cells. It transfers energy to the cells to speed up their metabolism. Known as the energy molecule in life and used as coenzyme with vital functions in cells signaling and structure. Guarana extract – Natural source of caffeine which plays the role of lipid “eliminator”, increasing the slimming and tonic properties of seaweeds. Detoxifying slimming ampoules. Each box contains 24 ampoules. Use 1 ampoule of Red Algae per day. 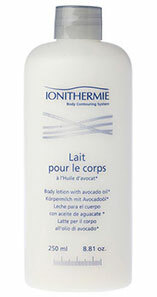 Rehydrates dry skin affected by cellulite and keeps all active ingredients deep into the skin layers for up to 24 hours. Increases circulation and works great for sunburn. Body Scrub to remove dead skin cells. It has an amazing scent and leaves the skin smooth and soft.. Contains fine particles of apricot stone and essential oil of verbena, which stimulates the digestive system and lymph. 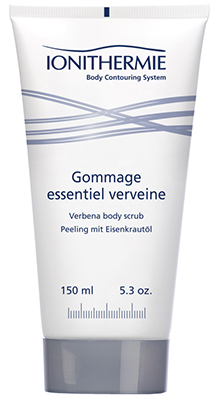 One of the most valuable ingredients in Gommage Essentiel Verveine is beeswax. It allows the skin to breathe whilst acting as an antioxidant. Slimming gel based on algae. It contains extract of red algae and pine essential oil. Afina gel stimulates blood circulation and helps to remove excess fluids. Firming cream, rich in proteins. Excellent for stretch marks and for smoother skin. 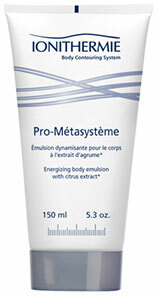 Firms and tones the skin and improves its elasticity. Note: Included here are the products for professional use during the actual treatment as well as those for treatments at home. They shall be applied once a day as application to the skin takes 5 minutes. The products are in convenient packaging and very simple to use at home.